Shop the Summer Clearance Event from 7/31-8/4 at Walmart.com! Get $15 Off Your First Order at Peapod.com with code PPCJ15 through 8.31.14. Some exclusions apply, see site for details. Shop Today! Shop Walmart's Back to Class Savings Event from 8/1-8/10 at Walmart.com! BALTIMORE (July 31, 2014) – Coppin State University’s Christina Epps (Morristown, N.J./Morristown) was named the 2014 Mid-Eastern Athletic Conference (MEAC) Woman of the Year, the conference announced today. Epps will be honored during a special on-campus event to be announced at a later time. The award, selected annually by the MEAC Senior Woman Administrators, celebrates the achievements of senior female student-athletes who have excelled in academic, athletics, service and leadership. Epps is the first Coppin State University female student-athlete to be named MEAC Woman of the Year. Epps was a four-time All-MEAC student-athlete in track and field and is a six-time triple jump champion in the conference. She is the current Coppin State triple jump record holder. Her school standard is 13.40 meters (43 feet, 11.75 inches), which was established by finishing third overall at the NCAA Division I East Regional Outdoor Preliminary Championships. Epps was selected as the Coppin State Female Presidents’ Eagle Award Winner, Female Athlete of the Year and MVP in track and field this past season. She served as team captain from 2012-2014 and was the SAAC President from 2013-2014. She competed at the NCAA Division I Outdoor Track and Field Championships at the University of Oregon and the USATF Outdoor Championships in Sacramento, California last month. Epps earned indoor All-American honors after finishing seventh at the NCAA Championships and she finished sixth at the U.S. Senior National Championships. Epps graduated in 2014 with a 3.30 grade point average in Psychology. She amassed many academic accomplishments before departing CSU including the Dean’s List four straight years, induction into the Chi Alpha Sigma National Honor Society and the Psi Chi International Honor Society. She was also selected as a USTFCCCA Academic All-American in 2011, 2012 and 2014 and selected to the MEAC Commissioner’s Academic Team for four straight years. Off the track, Epps volunteered with Windsor Hills Elementary/Middle School, Bare Your Chest for Breast Cancer, Chris Canty Foundation, Hash Tag Lunchbag, Samuel Ogle Middle School, Druid Hill Parks and Recreation just last year. She has also contributed her time to the Special Olympics Association Track Meet (2010-11) and the Dr. Carter G. Woodson Elementary Middle School Annual 5k Fun Run and Walk (2010). Epps will represent the MEAC as its nominee for the NCAA Woman of the Year Award. The NCAA established the Woman of the Year Award in 1991 to celebrate the achievements of women in intercollegiate athletics. Now in its 24th year, the award is unique because it recognizes not only the athletic achievements of outstanding young women, but also their academic achievements, community service and leadership. Maryland Eastern Shore senior bowler Mega Buja was the 2014 MEAC Woman of the Year runner-up. In a matchup between the Baltimore Redbirds and the Bethesda Big Train on Wednesday night, the Redbirds won 7-3 and advanced to the finals of the CRCBL playoffs, while Bethesda fell into the losers bracket with a chance to redeem themselves on Thursday night. Brock Larson (San Francisco) received the starting nod and went two and a third of an inning giving up four runs on three hits. Henry Sisson (North Carolina) came out of the bullpen and in relief, pitched five and two thirds of an inning giving up five hits and one run while striking out six. The Redbirds scored four runs on two hits in the top of the 3rd inning, taking a 4-0 lead. The Redbirds added to their lead, scoring one run on three hits in the 5th inning. The Big Train looked to have a big 8th inning but only brought home one run on three walks, cutting the lead to 5-1. However, the Redbirds scored two more insurance runs in the 9th inning to go ahead 7-1. In the bottom of the 9th, Wes Rea (Mississippi State) doubled down the left field line, scoring Chris Lewis (Sacramento State), who walked to get on base. Rea later scored on a passed ball but it was not enough to overcome the large deficit. 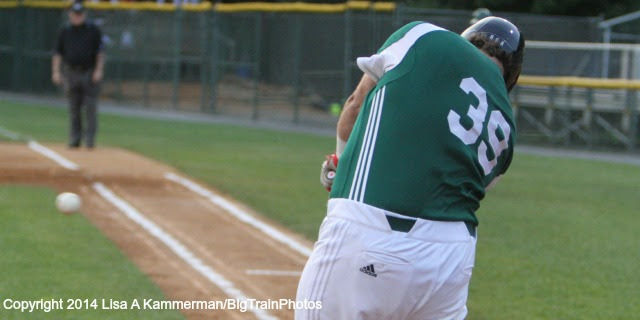 The Big Train will play the Rockville Express on Thursday night at 7:30 pm. The loser will be eliminated and the winner will play the Redbirds in the CRCBL Championship. BALTIMORE – The Coppin State 2014-15 men’s basketball schedule released Tuesday afternoon resembles Beyonce and Jay-Z’s “On The Run” tour itinerary as the Eagles will play games in 11 states highlighted by visits to reigning NCAA champion Connecticut and 2013 NCAA runner-up Michigan. Overall, the Eagles will play 11 of their 29 games at home in the Physical Education Complex under first-year head coach Michael Grant. Coppin State’s home opener will be on Monday, Dec. 1 against Division II Goldey-Beacom College. The Eagles will also host Hofstra (Wed. Dec. 10) and Eastern Kentucky (Tue., Dec. 30) during the month of December. Coppin State starts the season with a four-game 10-day road trip from Nov. 14-23 in which it play a game in every time zone in the contiguous United States: Oregon (Fri., Nov. 14), Illinois (Sat., Nov. 16), Notre Dame (Wed., Nov. 19) and Denver (Sun., Nov. 23). The Eagles will play Connecticut on Sun., Dec. 14 and Michigan on Mon., Dec. 22 in consecutive December games as part of four-game road trip that also includes stops at Eastern Michigan (Tue., Dec. 23) and Evansville (Sun., Dec. 28). The location of the Connecticut game will be determined later. It will either played on the Huskies’ campus in Storrs or at the XL Center in downtown Hartford. Grant has University of Michigan ties as he served as a graduate assistant where he helped coach and develop his younger brother Gary Grant, who eventually became the Big Ten Player of the Year in 1988. Gary Grant was the 14th overall player chosen in the 1988 NBA draft. The Wolverines beat the Eagles last season. In addition, the Eagles will play their final non-conference contest and first game of 2015 against Akron on Sat. Jan. 3. Grant was born in Cleveland and attended high school in Canton. Coppin State will play 16 Mid-Eastern Athletic Conference (MEAC) contests beginning with a visit to Hampton on Saturday, Dec. 6. The Eagles eliminated Hampton from the MEAC tournament in the quarterfinals last season. Coppin State’s first home conference contest will be on Saturday, Jan. 17 against Bethune-Cookman, a squad the Eagles defeated in the first round of the MEAC tournament last season. The Eagles will play every MEAC school at least once and have home-and-home matchups against Northern Division rivals Howard, Morgan State, Norfolk State and Delaware State. Coppin State will host four of the six Southern Division teams (Savannah State, South Carolina State, Florida A&M and Bethune-Cookman). The Eagles will play six of their final eight games at home highlighted by a season-high four game homestand featuring Morgan State (Monday, Feb. 2), South Carolina State (Saturday, Feb. 7), Savannah State (Monday, Feb. 9) and Howard (Saturday, Feb. 14). Coppin concludes the regular season on Thursday, March 5 at home against Delaware State. The year wraps a trip to Norfolk for the annual MEAC Tournament from March 9-14. Coppin State, which won 12 games last year and advanced to the MEAC semifinals, returns 11 players. Senior guard Taariq Cephas, senior forward Dallas Gary, senior guard Daquan Brickhouse, senior forward Arnold Fripp, senior forward Brandon St. Louis, and junior guard Sterling Smith are among the top returning players for the Eagles this season. Cephas, who averaged 9.4 points per game, finished third in the MEAC in assists per game (4.1). Smith is the Eagles leading returning scorer (10.9 ppg.). He also led the Eagles with 60 3-pointers. • Back to Oregon ... The Eagles play a Pac-12 school in the state of Oregon for the second straight year. The Eagles defeated Oregon State, 78-73, last season. This is also the second straight season, Coppin State will begin the season against a Pac-12 opponent. Coppin State began the 2013-14 season against California. • Conference Casting Call ... Coppin State will play against schools from 10 different conferences this season (Pac-12, Big 10, ACC, American Athletic, MAC, America East, CAA, Summit, Central Atlantic Collegiate and Missouri Valley). • Bye-ing Time ... The Eagles MEAC byes occur on Monday, Jan. 12 and Monday, Feb. 23. • Home Cooking ... Coppin State will play five of its seven February games at home in the Physical Education Complex. February also features the Eagles’ longest home stand of the season of four games (Morgan State, South Carolina State, Savannah State and Howard from Feb. 2-14). The Eagles will leave the state once in February when it travels to Delaware State on Feb. 16. • Time Travelers ... Coppin State starts the season with a four-game road trip from Nov. 14-23 in which it play a game in every time zone in the contiguous United States: Oregon (Fri., Nov. 14), Illinois (Sat., Nov. 16), Notre Dame (Wed., Nov. 19) and Denver (Sun., Nov. 23). • Welcome Back ... The Eagles will welcome Florida A&M to Baltimore for the first time since Feb. 8, 2010. • Familiar Foes ... The Eagles will play non-conference contests against Towson, Michigan and Akron for the second straight season. This will be the fifth consecutive season Coppin State and Towson will meet each other. The teams have split the four previous matchups. Sun. Nov. 23 at Denver Denver, Co. 3 p.m.
Mon. Dec. 1 GOLDEY-BEACOM Baltimore, Md. (Physical Ed. Complex) 7:30 p.m.
Wed. Dec. 10 HOFSTRA Baltimore, Md. (Physical Ed. Complex) 7:30 p.m.
Sun. Dec. 14 at Connecticut Storrs, Ct. 7:00 p.m.
Tue. Dec. 23 at Eastern Michigan Ypsilanti, Mi. 6:00 p.m. Sat. Jan. 17 BETHUNE-COOKMAN* Baltimore, Md. (Physical Ed. Complex) 4 p.m.
Mon. Jan. 19 FLORIDA A&M* Baltimore, Md. (Physical Ed. Complex) 7:30 p.m.
Mon. Feb. 2 MORGAN STATE* Baltimore, Md. (Physical Ed. Complex) 7:30 p.m. Sat. Feb. 7 SOUTH CAROLINA STATE* Baltimore, Md. (Physical Ed. Complex) 4 p.m.
Mon. Feb. 9 SAVANNAH STATE* Baltimore, Md. (Physical Ed. Complex) 7:30 p.m. Sat. Feb. 14 HOWARD* (HOMECOMING) Baltimore, Md. (Physical Ed. Complex) 4 p.m. Sat. Feb. 21 NORFOLK STATE* Baltimore, Md. (Physical Ed. Complex) 4 p.m.
Thur. Mar. 5 DELAWARE STATE* Baltimore, Md. (Physical Ed. Complex) 7:30 p.m. Does Blood Type Affect Diet Choices? 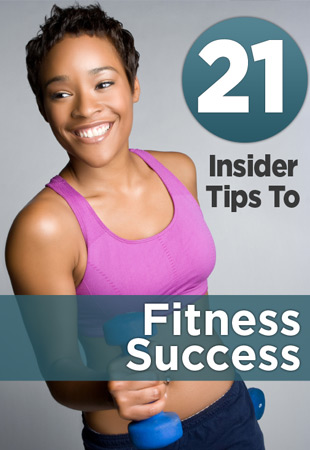 #1 fat burning workout in The World! Big Train Win Regular Season! Are you the next World Cup Star? Lowe Powers Big Train to Victory over Rockville! US Sports Hoops Nation! Activate! Bodybuilder? Sure! If you want it bad enough! Pre-Workout Snacks: What's the Best?